Craigroyston Community High School pupils secured £3000 for a charity that has given them ‘a sense of belonging’. Kirsty, Jessica, Rhiannon and Demi-Leigh made up one of five finalist teams at their school’s Youth and Philanthropy Initiative (YPI) final. The girls have each benefitted from Ferrywell Youth Project’s DIME sessions and their personal connection to the charity moved judges Garreth Wood, Trustee of The Wood Foundation. The funds will be used in the creation of a welcoming space for its users in its new premises. “We are so happy that we won the grant and able to give back to a charity that means a lot to us all. “All of the finalist teams did a wonderful job and I was incredibly impressed with their passion, presentation skills and the maturity in which they tackled social issues. This is Craigroyston’s second year delivering YPI with last year’s recipient charity being Pilton Youth Project. 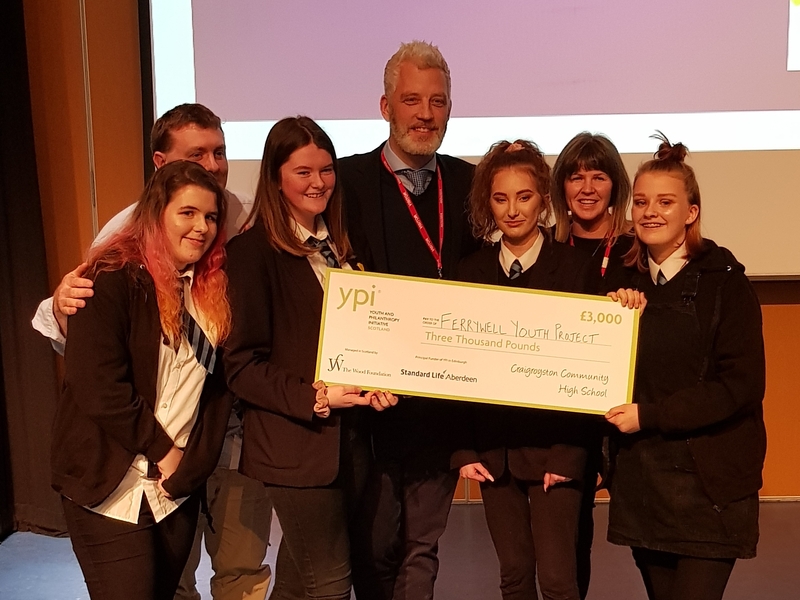 Nineteen schools in the Capital complete YPI each year bringing a boost of £57,000 to local grassroots charities tackling a range of social issues. The principal funder of YPI in Edinburgh is Standard Life Aberdeen.